One day, on his way home from shopping, Grug finds his path blocked by a fallen tree. Grug walks around the tree, but then he can’t see the path. He keeps walking, but he’s never been into this part of the forest before. The forest is very dark. And the trees begin to look like faces. Then a wallaby rushes past. Grug is frightened! Although he is very scared, he is also very tired. He closes his eyes and soon he is asleep. When he wakes up, he can see some light coming through the tall trees. He walks towards it. Soon Grug is out in the open. Then he sees Cara’s hollow log. 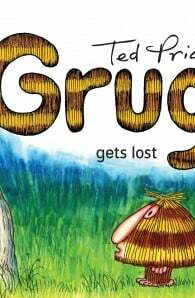 ‘Not far to go now,’ says Grug. Safe in his burrow, Grug is very happy. ‘There’s no place like home,’ he says. Ted Prior previously worked as a police officer and art teacher. He also worked in children's TV and animation. 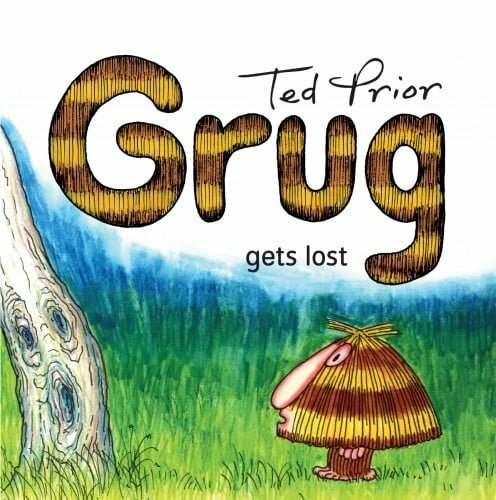 In 1979 he started his Grug series of children's picture books.